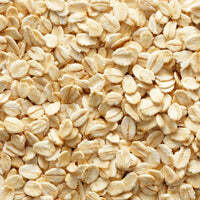 Pure Honey, Oatmeal and Almond Meal help purify and deep cleanse. Leaves skin super clean and smooth. For best results, use two to three times per week. 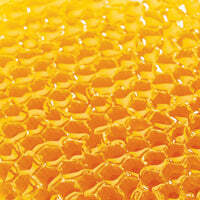 The sweet syrupy substance produced by bees, has value as a humectant with some soothing properties. It is lightly aromatic due to the presence of essential oils found in the nectars of the flower visited by bees. Ground almonds make excellent natural exfoliators. 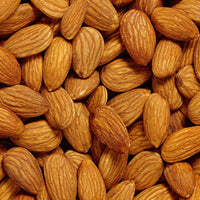 Moistened with sweet Almond Oil, they help replenish the oils lost from the skin during the cleansing process. Soft in texture, they produce a gentle exfoliating result. 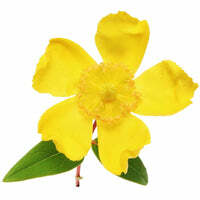 Obtained from the flowers, leaves, capsules and stemhead of Hypericum Perfortatum, St. John's Wort. It is known for its purifying, soothing and toning properties. On cleansed skin, apply with moistened fingertips and massage gently but firmly. Special attention should be given to enlarged pores and blackhead areas. Leave on 10-15 minutes as a deep cleansing mask or rinse off in the shower for quick skin smoothing and cleansing. Honey and Almond Scrub has a rating of 4.9 stars based on 39 reviews.